Asteroid OS is an open source, Linux-based smartwatch OS developed primarily by a French student and hoping to take on the might of Android Wear — so does it stand a chance? 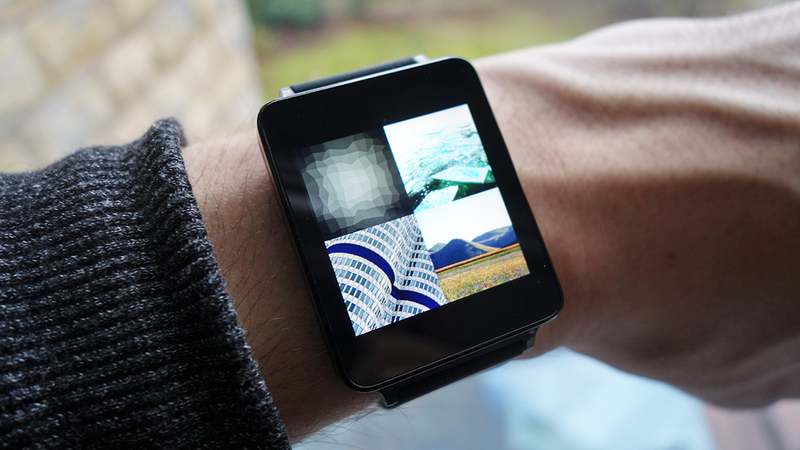 We strapped on an LG G Watch and installed Asteroid OS to put it through its paces and see whether this fledgling OS has what it takes to ruffle Google's feathers. On paper it ticks all the right boxes, with some interesting ideas and a stylish-looking interface, so we're hopeful that it can eventually emerge as a genuine Android Wear alternative. It's important to bear in mind that Asteroid OS is currently at the alpha stage of its development, which is even earlier than beta. In other words, it's not ready for the world at large, and so a lot of the bugs we noticed are to be expected with software at this point. If you want to install Asteroid OS (the alpha version) today, you need an LG G Watch, LG Watch Urbane, Asus Zenwatch 2 or a Sony SmartWatch 3. The code can be downloaded from here, and installed through the free Android ADB and Fastboot command line tools that will be familiar to Android developers. Instructions are provided but it helps to have a bit of experience in unlocking and flashing Android hardware if you're going to give this a go (we had to cut the "-p" variable from the ADB push command to get it working on our machine, for example). Asteroid OS is actually installed in a dual-boot configuration, which means you can restart your watch and get back to Android Wear at any time if you want. At the moment Asteroid OS comes with some basic apps — including a calendar, timer, stopwatch, music player and weather widget — and has a very basic companion app on Android for syncing data. What documentation there is for the project is aimed at developers, understandably enough, but you can figure out the basic mechanics of the OS without too much trouble. From the main watch face, swipe down to get to quick settings (like brightness and Bluetooth) or up to get to your list of apps. Swipe right to see the open apps screen, a multitasking shortcut page that was a bit hit and miss when we used it but shows potential. A swipe to the left from the main watch face takes you to the notifications fed through from your phone. With the Android app offering limited functionality right now, most of the settings are controlled on the watch. You can configure wallpaper, brightness, the watch face (from a choice of four) and a handful of other features for the time being. The look and feel of Asteroid OS definitely exceeded our expectations: the design is crisp and clear, and you can zip around the interface very quickly indeed, swiping away with no lag or sluggishness to speak of. The default wallpaper, gently shifting colours and clear iconography are all top-notch, and rival anything we've seen on Android Wear up to this point. Even the individual menus and settings screens feel like a step up from Android Wear. They're clear to read and intuitive, and in terms of operations on the actual watch itself then you don't need to refer to an instruction manual to work out how to do anything (which is handy, as there isn't one). The apps themselves are well designed too. The weather app, pretty much the only fully working part of Asteroid OS at this point, has a concise and informative look to it that many other apps could learn from. We've been playing around with the calculator and stopwatch apps too and they both work really well on a small screen. The agenda (calendar) and music apps aren't quite finished, so we couldn't give them a proper test. There are only four wallpapers and four watch faces to choose from at the moment, but again there's promise. We liked the text watch face that rounds up the time to the nearest five minutes (quarter past eight, twenty past eight), which is helpful when you're quickly glancing at your wrist on the go. That watch face and many other little touches — such as the open apps screen and the gently animated default wallpaper — show that plenty of thought has gone into Asteroid OS and how it's going to work on smartwatches. As we said above, this is an alpha release — you wouldn't expect it to be fully functional right now. Nevertheless we'll point out some of the missing features. Perhaps the most frustrating is the lack of an always-on display, at least on our watch, which means you need to double-tap or tap-and-slide the screen to wake it and check the time. When your smartwatch doesn't even work normally as a watch you know your software isn't ready for the masses, but some kind of 'raise to wake' feature should be fairly easy to implement. The Android app is basic and buggy, with no support yet for tweaking notifications or getting screenshots. We couldn't get alerts working at all, which is again a pretty fundamental part of the smartwatch experience. There were lots of crashes too, when changing the wallpaper or checking the weather, and a few times we had to connect our LG G Watch to a PC again to reboot it. Several of the apps need more work: you can't change the name of new events in the calendar for example (or at least we couldn't work out how to do it). We couldn't figure out how to transfer music tracks to the watch either, but you can already control playback in Google Play Music on your phone, so that's something. All of those complaints may paint Asteroid OS in an overly negative light but the reality is it shows a lot of promise for software in the alpha stage of its development. Getting an always-on display and basic notifications sorted would make a big difference, even if extras like third-party apps are still a long way off. If enough coders can get involved and take the project forward, then we'd be happy to have Asteroid OS installed on our wrist. Have you tried Asteroid OS? What are your first impressions?